Methods to incorporate as many languages, monitoring multilingual SEO services and thorough planning are significant actions that can provide a considerable benefit over competing businesses. An essential part of your website localization is the plan of multilingual SEO. It is much more efficient to undertake SEO strategy to establish rather than during the localization process. To make sure that the procedure of search engine optimization for localization is efficient you should first optimize the source language of your website. 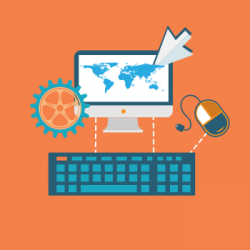 Our multilingual SEO services employ proven techniques that we choose and use in all sites: first, we’re going to optimize your existing website then we make sure that the other versions of your website are properly optimized and localized. You should have a good understanding of the target market because each country and culture has a different behavior and relying on those, our experts will accommodate your global search engine optimization strategy in order to incorporate other search engines, not just Google which is the dominant search engine in the world, but also other leading internet search engines from the following countries: South Korea (Naver), Yandex in Russia, Yahoo Japan and Baidu in China. SEO keywords cannot be translated because there is a certain translation practice that is standard. Comprehensiveness of search intent is of big value for successful optimization. 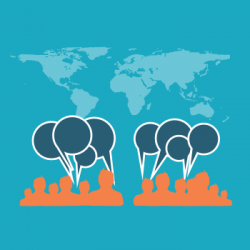 We resolve this issue by preparing and researching your content in the language you are targeting. This will determine words that are being actually searched in the target market and will give a representation of the target words at the country level that have not been covered in your local content (your existing web pages already translated in the target language). SEO stands for Search Engine Optimization. Its aim is to displace an area of your web site and be among the results that appear at the top when searching on Google. This is achieved by selecting the correct frequency of the right words in the content of your text in all languages. Our team of expert copywriters will create a copy that is the exact linear transmission of text that will be similar towards the target market. 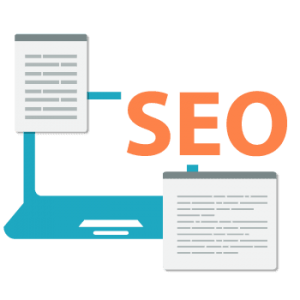 First we will translate the web content according to your instructions in order to achieve higher ranking in search engines, we provide strategic placement that is proper repetition of keywords in several places within the content of your website in a way that is understandable by the reader. Universal Translation Services will help you to create online advertisements, e-mail campaigns and other online content, its direct pieces of mail, press releases, white papers, sales letters and other marketing communications media pages, catalogs, billboards, brochures, postcards, taglines, jingle lyrics, TV or radio commercial scripts. If your website in Spanish ranks well in the search engines in Spain then it does not necessarily mean that it will rank the same in other countries. Search Engine Optimization is not an easy task rather it entails many technicalities. If done right it ensures that your website is set such that it best fits with the area you want to target and is found in all relevant searches in the local area. Multilingual SEO if dealt with incorrectly can result in a number of technical problems. It thus needs extra care and precision in bringing out the best results. Our native translators help optimize your site with most appropriate keywords which in turn make your website visible in searches, thus giving you an upper hand over your competitive counterparts. With the increasing use of the internet world, the multiplied appliance of business localization, the need for website visibility arises. The web world has to be the most convenient of all sources for reaching different markets while not being physically there. Your virtual existence is more than enough to give you an extensive brand recognition world over. If you are part of the same race and want to generate more web leads and higher rankings in different languages then you are at the right place because we offer multilingual SEO services at affordable rates. 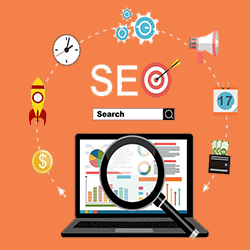 SEO is a strategy that helps in bringing a website to the top results of a search engine, and it plays a vital role in directing a considerable amount of traffic to a website. What people must understand is that if their website in English is receiving a great response, it does not mean that their translated website will receive the same response in a foreign country where they wish to expand their business in, and that for several reasons. The most important thing to understand is that keywords cannot be translated when a website is being translated and localized to a foreign country. Proper optimization has to be done, and the right keywords have to be used according to the searches being made in the target country. This type of optimization is done by multilingual search engine optimization services. A simple translation company might fail in optimizing a website for the search engines of a targeted country because this requires linguistic knowledge and an understanding of the market of the country where a brand wishes to launch its website. If you wish to opt for multilingual SEO services which are reliable, efficient and effective, Universal Translation Services is what you need. On top of providing professional translation services, we have SEO experts on board who have experience in seo for multilingual websites and can localize a website and optimize it correctly for the targeted country. The multilingual SEO services provided by us help companies get customers without trying much as with such optimization, UTS makes the customers find you.